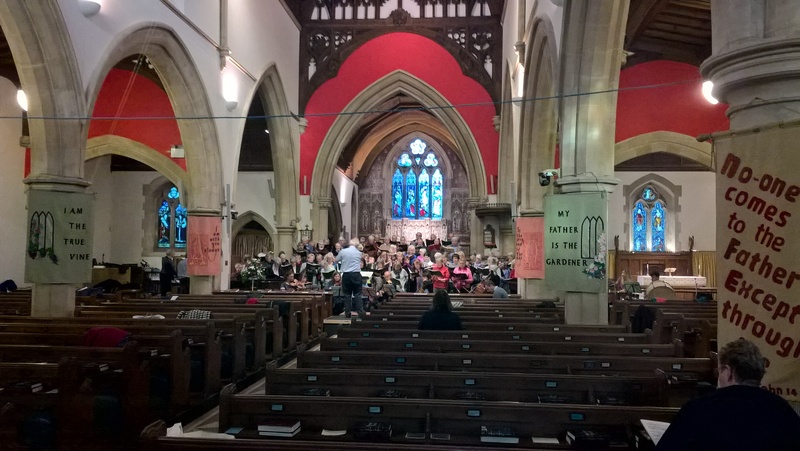 Following the Choir’s concert on Saturday 25 November, Sally Laird, Chair of South Devon Choir, posted the following message. I’m feeling a very proud and happy Chairperson today! Our Choir gave a superb concert last night – a huge thank you to every single person involved- and there were a lot! And we all enjoyed it so much – so many dramatic and thrilling not to say moving moments, from pickled Choirboys to the glorious singing of our soloists- Nick Hawker as St Nicolas was stunning, the sounds of that superb trumpet solo are still ringing my ears with the lovely soprano Elinor Chapman, the rich tones of Julian Rippon, and as for the duetti on the piano – fantastic! There were dramatic moments during the week before the concert when it looked as though the organ might not be playable – I think that Simon Dunbavand proved beyond any doubt that it had been repaired – what an exceptional musician he is.